It is a great pleasure for me to be with you here in Bangkok for the 13th meeting of the Conference of the Parties to CITES. Thailand is a most appropriate host for this major environmental conference. Rich in biodiversity and economically dynamic, Thailand has an important regional and global role in ensuring that trade in wildlife is sustainable. I welcome Thailand's efforts in working alongside ASEAN partners to strengthen wildlife regulations, and in working with the private sector and non-governmental organizations through the newly formed Thailand Conservation Alliance. I am confident that your discussions here over the next two weeks will draw inspiration from the excellent facilities that have been made available to us and from the warm welcome we have received from the Thai people. There are many reasons why CITES conferences stand out as such important events on the international environmental calendar. CITES creates high levels of enthusiasm, excitement and expectations worldwide because this Convention is practical and has a positive impact on wildlife, on local communities and on economies. The commitment to science-based decision-making, the rigorous procedures for updating the Appendices, and the Secretariat's efforts to engage all stakeholders, to support capacity-building, enforcement and other aspects of implementation give this agreement both muscle and real teeth. But above all, CITES remains as fresh and vigorous as ever because it is prepared to move with the times. The global environmental scene has changed almost beyond recognition over the past 30 years but you, the Parties and observers to CITES, are keeping it relevant by adapting to these new needs and circumstances. The World Summit on Sustainable Development confirmed that biodiversity is a fundamental resource for the sustainable development of humanity. Without diversity of species and healthy ecosystems the MDG goals for alleviating poverty and achieving environmental sustainability cannot be achieved. But to conserve biodiversity resources we must not only protect vulnerable traded species, we must also mainstream sustainable management of biological resources into all the major economic sectors. Here I am talking about forestry, fisheries, agriculture, health and tourism, for example. This is the message from the Millennium Development Goals, the WSSD, as well as from the Ecosystem Approach adopted by the Convention on Biological Diversity. CITES is clearly aware of this need to mainstream conservation and one of the exciting trends now taking place is the move to list economically-valuable timber and fish species. I take this as a sign from Governments that the degradation of oceans and forests has reached such proportions that all available mechanisms are being mobilized to deal with it. CITES indeed offers sharply-defined ways of discouraging the unsustainable harvesting of vulnerable species of trees, fish and other species whose price tag could otherwise become their death certificate. There are of course limitations to what CITES alone can do to ensure the sustainable management of forest and fish populations. The way ahead is through partnerships and coordinated action, and I am encouraged to see these emerging with the Food and Agriculture Organization, the International Tropical Timber Organization and others. I am confident that by this means CITES can strongly influence the wider agenda and help to return our oceans and forests to health. In highlighting the needs of people who depend for their livelihood on, for example, the wool of the vicuña or on the skins of farmed crocodiles, CITES demonstrates the interdependence of human needs and wildlife conservation. Some such interdependencies are complex and challenging for CITES. For example, the continuing problem of bushmeat consumption, where the international trade is dwarfed by local markets. At least by strengthening protection of our nearest relatives, the Great Apes, you can demonstrate that such animals are far more valuable alive than dead. Together with UNESCO, UNEP is doing all it can to work alongside you through our Great Apes Survival Project, the subject of a side event that I hope you will attend next week. This focus on the species level is a great strength of your Convention. I believe it is vital for CITES to work alongside the other biodiversity-related conventions, contributing species knowledge where it is needed, for example in the implementation of the CBD's Global Strategy for Plant Conservation. UNEP has been pleased to support, together with Germany and other partners, an Expert Meeting on Promoting CITES-CBD Cooperation and Synergy in Vilm, Germany, earlier this year. That meeting, whose report is before you for consideration, demonstrated many ways in which the CBD and CITES can and should complement each other in tackling the global biodiversity crisis. In implementing new measures for conservation, we must also be prepared to demonstrate progress towards reducing the rate of loss of biodiversity. A target date of 2010 has been agreed by all CBD Parties and reconfirmed by nations at the 2002 World Summit on Sustainable Development, by which time we should know whether we are being successful. CITES is clearly contributing to this goal, and would perhaps benefit from recognizing its role and reflecting this contribution more explicitly in its own work and documentation. The Ecosystem Approach is fundamental to the work of the CBD. It means taking action at the level of landscapes and seascapes, and recognizing that human communities are an integral part of such ecosystems. It may not be immediately obvious how a species-related convention can contribute in this way. I believe it would be helpful if we had more accessible information about the distribution of CITES-listed species across major ecological regions. Such an analysis has been started in the World Heritage Convention and is proving very useful. Threatened and vulnerable ecosystems need flagship species as champions for their future, and this CITES can provide. For example, UNEP is deeply concerned for the future of the world's coral reefs and the people that depend upon them, both in the tropics and in cold waters. Working with partners in the International Coral Reef Action Network UNEP and our Regional Seas Programmes we are implementing a range of activities. I believe there are many opportunities to link CITES-listed species more explicitly to threatened communities and ecosystems, thereby building greater understanding of their needs. It is clear that all of the good work that CITES performs or is expected to perform comes with a price tag. The Secretariat's budget proposal calls for a 10 percent increase to enable it to continue services at the level you, as Parties, have come to expect. We all realize that pressure on government budgets and competition for global funds is growing every year. But I know you will agree with me that CITES and its Secretariat provide great value for money. Your Strategic Vision adopted in 2000 stressed the need for providing the Convention with an improved, predictable and secure financial basis, including a stable flow of financial resources. I urge you to support the CITES budget as generously as you can and to provide your contributions in a timely manner. 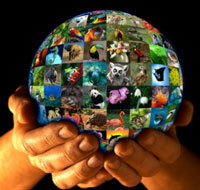 For our part, we at UNEP are also committed to doing more to support CITES. Our World Conservation Monitoring Centre has played a key role in managing your data, and in recent months has invested considerable resources to build a new electronic data infrastructure for the CITES community. Parties can now access and analyse millions of CITES trade records over the Internet. The number of data requests has increased more than tenfold as a result, and the production of a CITES Trade Review is now possible, analysing records over the past 20 years. For the first time since CITES was established, we can obtain at a glance an overview of the impact that CITES has in regulating wildlife trade. Meanwhile, UNEP's Division of Environmental Conventions works actively to promote synergies amongst the biodiversity-related conventions. It also provides media and other support services. And our Economics and Trade Branch is assessing the potential benefits and uses of economic instruments for biodiversity conservation. As an organization, UNEP remains committed to achieving and ensuring regular improvements in the way we administer and service the CITES Secretariat. Ladies and Gentlemen, in view of the foregoing, it is incumbent upon all countries and nations of the world to join hands and strengthen this Convention. I would also wish to call upon those countries that have not done so to ratify this and other biodiversity-related Conventions at their earliest opportunity. With these final words of support and encouragement, I would like to wish you a productive meeting and an enjoyable stay here in the great city of Bangkok.